Stonehenge is an ancient site which dominates Salisbury Plain in the south west of England. Much of where the stones came from and how they were moved is still an enigma. Built around 3100 BC, the origins and purpose remains the subject of much debate around the world. At the National Museum of Wales in Cardiff some detective work is taking place that could help solve this historical conundrum. With precision and patience Dr. Richard Bevins is examining a minute piece of stone that is part of a 5000-year-old mystery. Under his microscope is a sample taken from Stonehenge. Bevins says the whereabouts of some of the stones is already known. In the 1920s scientists traced the origins of the remaining stones, known as Bluestones, to an unspecified part of the Preseli Hills in Pembrokeshire, West Wales. This is 240km from Stonehenge. It remains unclear how an ancient civilisation would have transported such heavy stones such a huge distance. A unique discovery is now fuelling further debate about how the architects of Stonehenge moved their building materials from Wales to the south west of England. Dr. Bevins and a team of scientists have matched stone samples from Stonehenge with ones taken from the Preseli Hills and uncovered their precise origin. They have done it by using new technologies by analysing and comparing their mineral content. Still in Wales, at the University of Aberystwyth, geochemist Dr Nick Pearce was tasked with analysing the zircon crystals that are embedded in the stone samples. He pioneered a technique that uses a laser to vaporise the crystals so that their chemical make up can be scrutinised. Pearce explains how the technique works. By matching the chemical finger prints of their stone samples they have proven the origin of stones used to build parts of Stonehenge. In a picturesque and quiet corner of West Wales called Pont Saesnon is a rocky outcrop that looks like any other in this mountainous country. But thousands of years ago it provided the building blocks for the ancient structure of Stonehenge that still captivates people today. Pearce says their research has located the exact spot the stones came from. 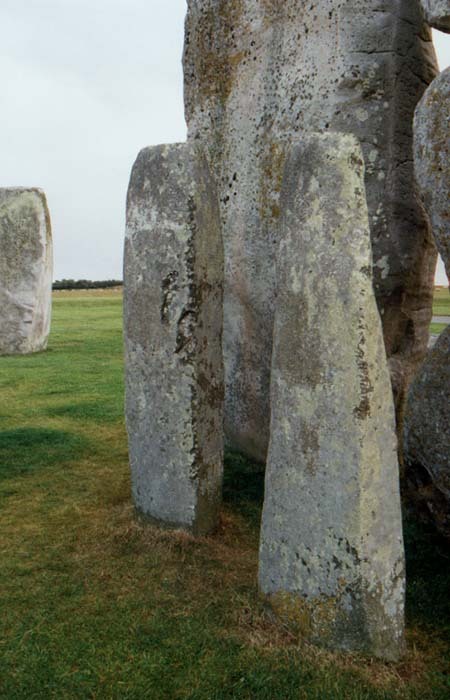 The unearthing of the stone’s origins also challenges the theories on how the builders of Stonehenge transported their materials to Salisbury Plain. “It was always thought they were transported by humans south down towards the Bristol Channel and put onto rafts at Milford Haven. Well this location changes that perspective,” Bevins says. It’s now thought the stones took an alternative route and travelled 16km west to the natural harbours that dot the Welsh coastline then shipped to their final resting place on Salisbury Plain, in England. This theory now needs to be tested by archaeologists. 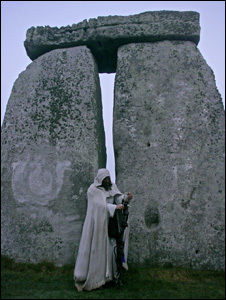 These new discoveries bring people who are fascinated with Stonehenge one step closer to unlocking its mysteries.